WarCry.com wants you to suit up in Firefall and start fighting the alien threat, soldier! 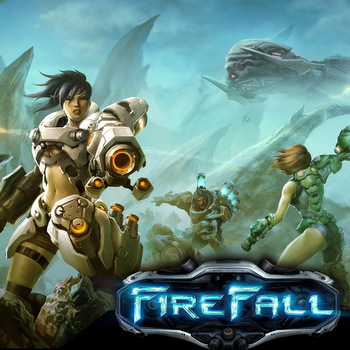 Firefall is the upcoming sci-fi MMO shooter where players take on the role of battleframe-wearing warriors fighting against each other and the alien Chosen. It's a high tech setting featuring a future Earth changed by a global disaster, where much of the planet's population has been wiped out. It has been in beta just about forever, but Red 5 is doing good things with the development time and huge number of testers. If you're curious for more info, check out WarCry's codex page on Firefall for the sort of comprehensive information that WarCry is all about. If you're ready to get going, grab your beta key from WarCry right here. Head on over to WarCry.com to get signed up for the beta. While you're there, be sure to check out the pile of other betas and giveaways that you can sign up to win. The new WarCry has been designed to help gamers find the right MMO for them, no matter the genre, no matter the play style, no matter if it's free or subscription. WarCry's game codex has more than 300 MMOs listed and categorized, and WarCry will help you keep your eye on upcoming MMOs with news and previews. WarCry is going to be running promotions for hardware, beta keys, and free in-game items all the time - so it's a great place to get started on a new game, or get a leg up in one you already play.